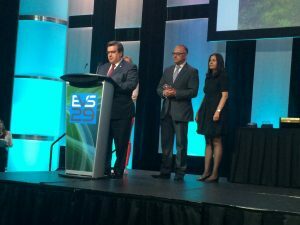 At the closing session of the 29th Electric Vehicle Symposium and Exhibition (EVS29), the World Electric Vehicle Association (WEVA) honored the City of Montréal with an E-Visionary Award in recognition of Mayor Denis Coderre and his Administration’s work to expand electric mobility. 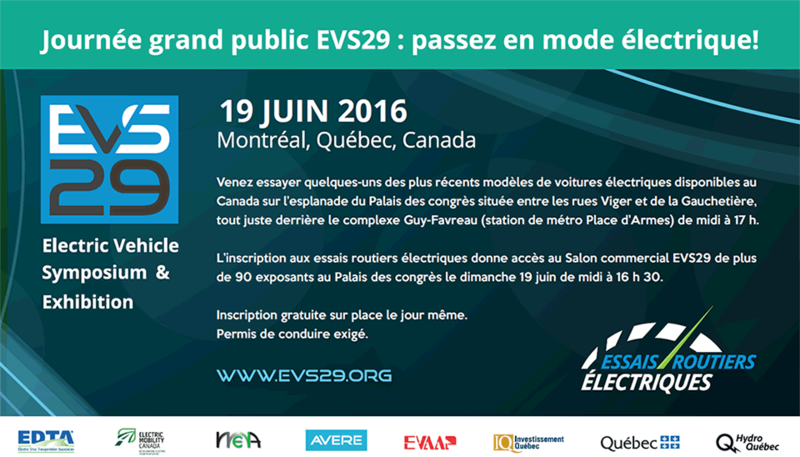 Under the leadership of Mayor Coderre, the City of Montréal has established a plan to boost electric mobility across the region, including the acquisition of electric vehicles for the municipal fleet, the expansion of charging infrastructure and encouraging the use of electric vehicle car-sharing services. The promotion of electric vehicles is a part of the City’s efforts towards a goal of reducing greenhouse gas emissions by 30 percent in 2020, compared to 1990 levels.